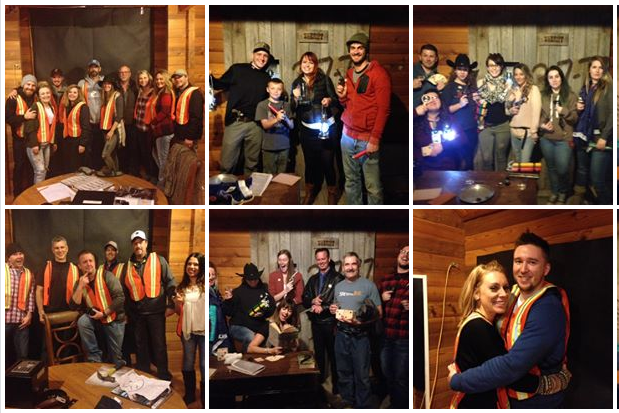 Our escape rooms are a fun way to celebrate an event – a birthday or anniversary. Do something special that will get you and your friends talking for the rest of the evening! Or kick off a bachelor or bachelorette or other party – get everyone interacting and sharing an experience. Use our escape games as a great ice breaker to introduce people who may not know each other. You can make arrangements to hide a special card or item in the game to be found during play. We make a fuss over your special guest, from extra clues to being the team leader, you will have fun!